I spent the Thanksgiving holidays with my kids and family in Oklahoma and with all the other things going on right now, chose to stay in Arizona for Christmas. But I wasn't alone, Max's granddaughter had everyone over for Christmas for a late afternoon Christmas dinner. Derek likes to rock climb, so he has built his own rock climbing facility in his garage. Max with great grandson Blake. Grandson Kevin looking at photos with his girlfriend and her daughters. There were always a few playing pool out in the garage. The hostess, Ashley and TJ with Mattie, Thomas and Blake. And there were always some jumping on the trampolene. Even my son, Sam, got in on the action. It was very nice Christmas indeed. 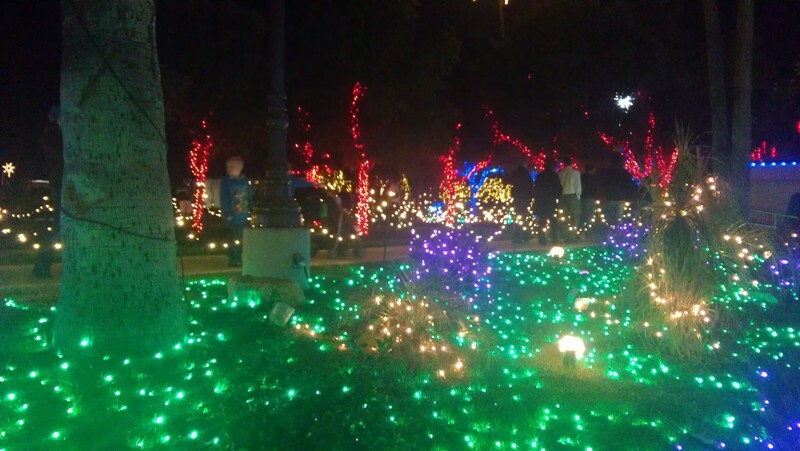 Mesa, AZ, is a town of close to a half million people, one of the more populous in the state. Originally settled 2,000 years ago by the Hohokum people, by 1450 A.D., they had hundred of miles of canals built in the area before they disappeared. In the 1800s, the U.S. Cavalry routed the Apache out of the area, clearing the way for settlers. 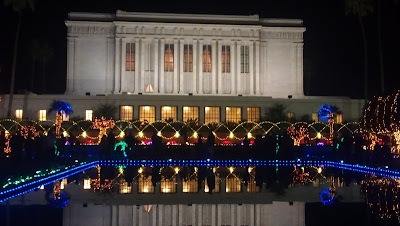 The first settlers to arrive were Mormon settlers out of Utah and subsequently their is a large Mormon Temple built in the old downtown Mesa area. 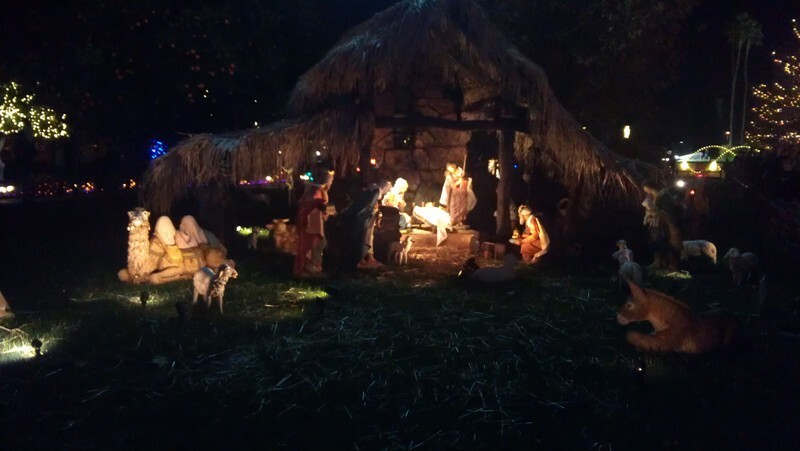 Every year they decorate elaborately for Christmas and provide Christmas concerts every night for several weeks during the holidays. On the front lawn are the wise men. 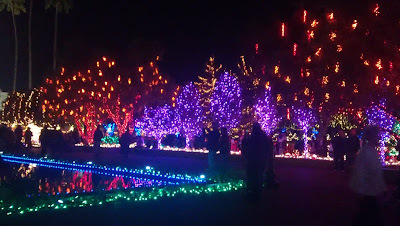 Much of the grounds are covered with colorful lights. 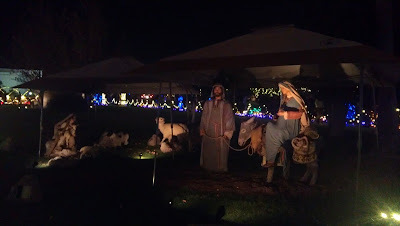 Here is the manger scene with Mary, Joseph and the baby Jesus, surrounded by the animals and the shepherds. 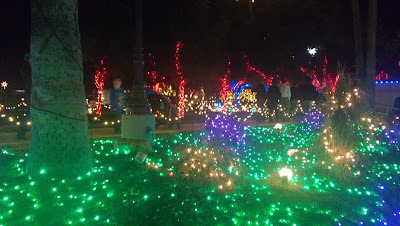 More colorful lights. Every tree on the grounds is decorated. 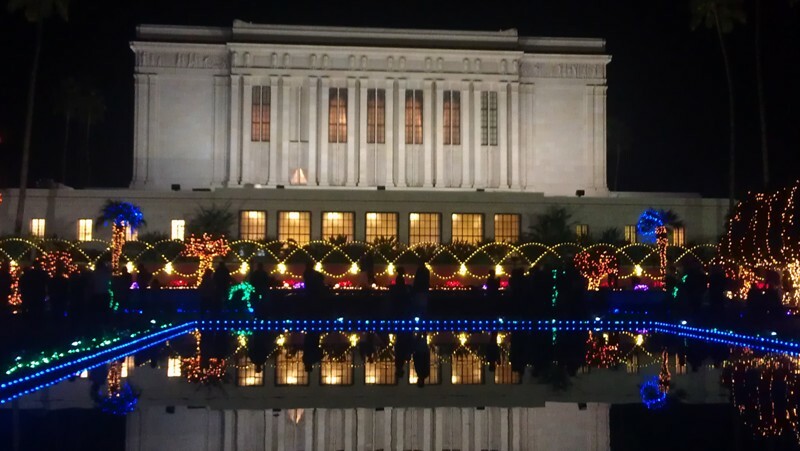 The Temple itself is not decorated, but all around it is. The scene of Mary and Joseph arriving in Bethlehem. 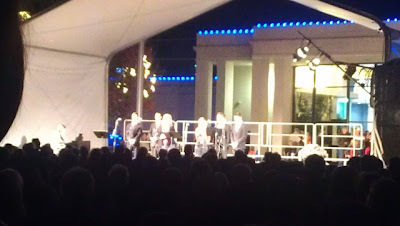 The night we drove out to see the lights they had a family providing music. 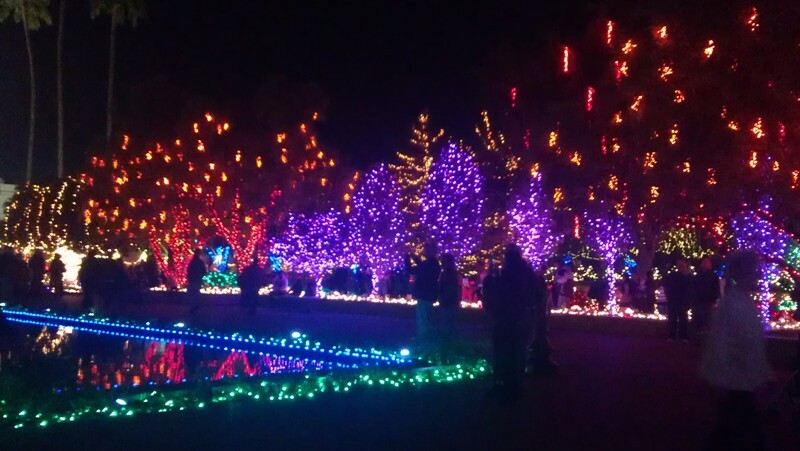 Hundreds of people visit the lights nightly and you can even get donuts or hot chocolate or hot cider across the street. On a sightseeing trip to show my son around the area, we headed up Highway 88 from Apache Junction towards Roosevelt Lake. We encountered these great waterfalls just south of Apache Lake. Normally there are no waterfalls here, but it had rained in the last few days and I think this was some of the runoff. But in the wash below the trees still had their fall colors. Then up at Roosevelt Lake we saw this double ended rainbow (but my camera couldn't get the entire rainbow, just one side or the other). No matter where we drove, the rainbow just seemed to follow us. Max decided to take the road over 4 Peaks on the way back to Mesa. What we hadn't anticipated was the amount of snow on top of the mountain. What was rain in the valley, was snow on top of the peak. 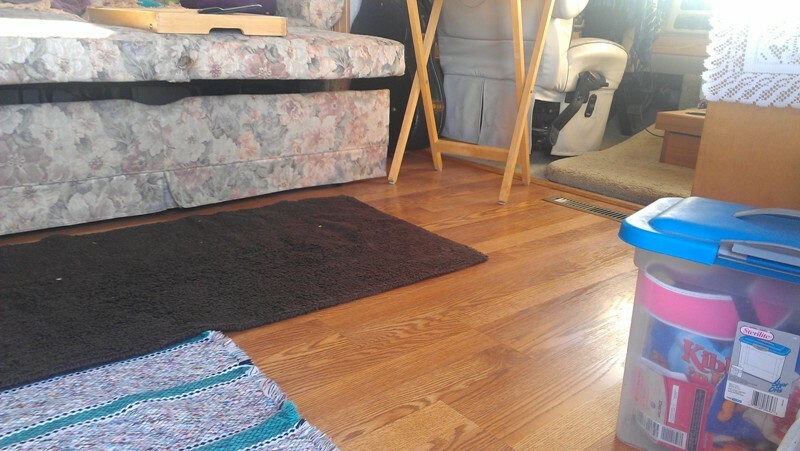 When I returned to the Phoenix area back in October, it was to get some repairs on my RV. But in addition to the repairs I also had new floors put in. Having never liked carpets, even in my stick houses, I had been wanting wood floors for my RV for some time. 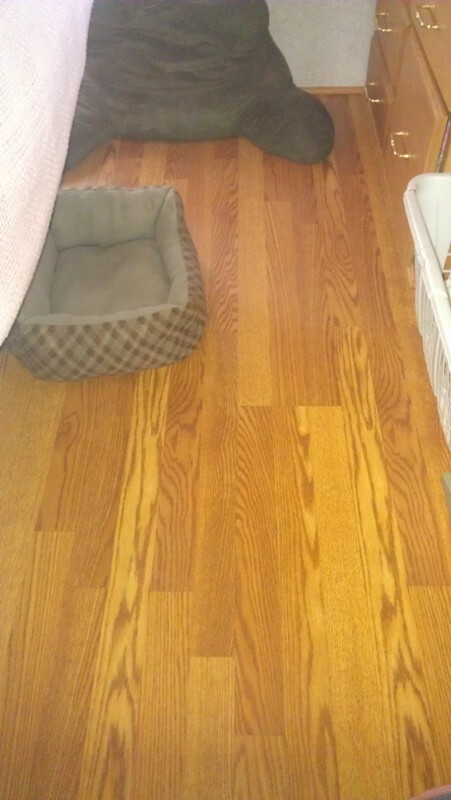 all the way through to the living room. I love them. 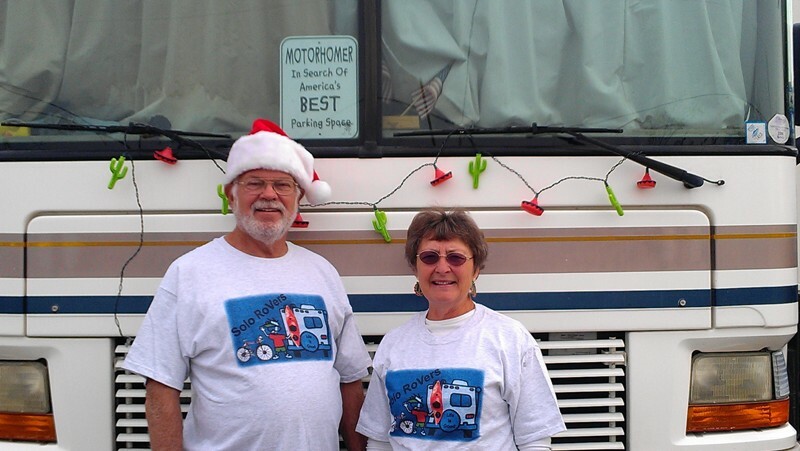 Apache Junction had their Parade of Lights on Dec. 1. 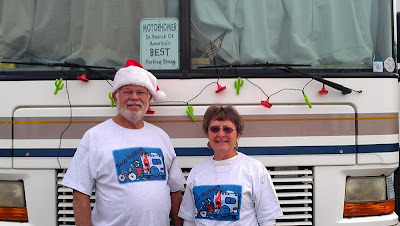 Apache Junction has great parades, lots of floats and lots of horseman too. Many of the RV Resorts were decked out with Christmas lights. We met Paula and walked from her place over to the parade route, encountering these wonderful lights along the way. Every float was lite up. Some designs were pretty good. Here you have a reindeer guiding this pickup. I liked the Model A myself. 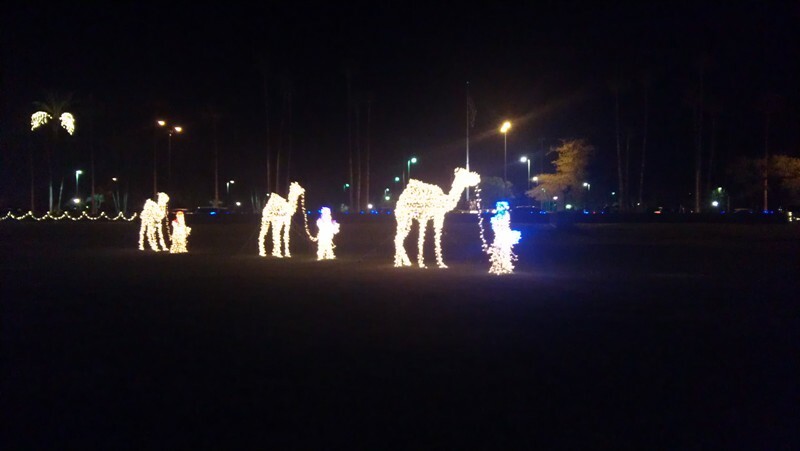 And not just the horses were lite up. Here the cowboy is lite up as well. I know, I know, I'm still a month behind. Here it is Christmas and I'm still posting about Thanksgiving. After spending time in Oklahoma City with my grandkids, my son, Sam, picked me up and we headed to his brothers house in Tahlequah, OK, for Thanksgiving dinner. I was going to stay there until I returned to Mesa the next week. 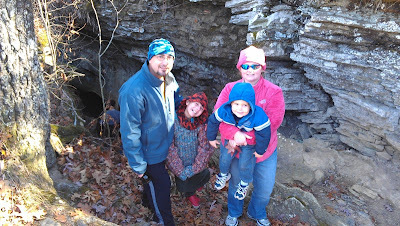 While I was there they took me exploring to one of their favorite places, Devils Den State Park in Arkansas. 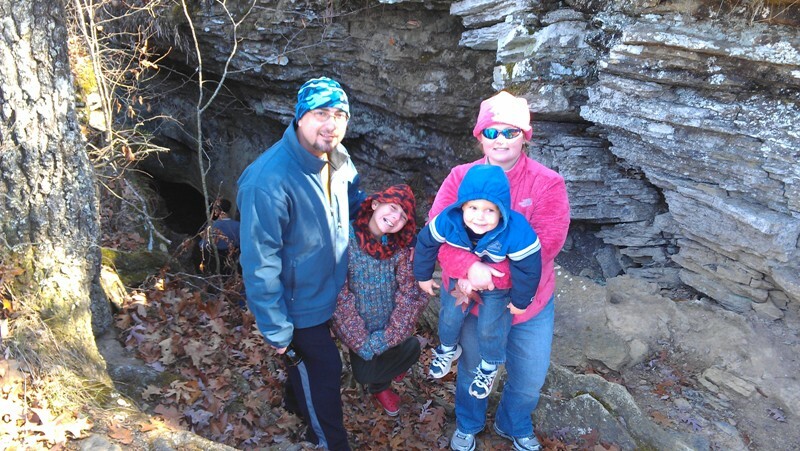 Aaron, Holly, Adrion and Gavin standing in front of one of the smaller caves. 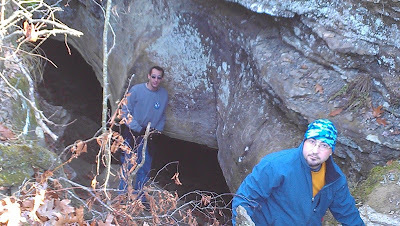 Aaron and Sam in front of one of the larger caves. 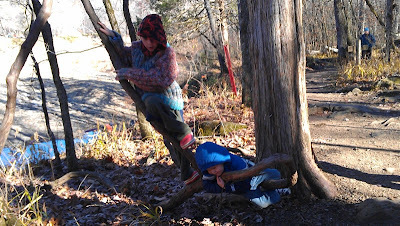 The kids found these wonderful, large vines to swing on. On another day we headed out to hike Sparrowhawk Mountain. Yeah, yeah, I know, there really aren't any mountains in Oklahoma, but is sounds funny to say Sparrowhawk Hill. Most people think of Oklahoma being nothing but flat wheat fields. But in the south and east they have a very different terrain. Lots of lakes, rivers and forests and yes, even mountain ranges. Getting ready to head up the hill. We made it. Actually it was only a short hike, maybe a mile to the top. But it was a pretty view overlooking the Illinois River. The Illinois River is popular in the summer for floating, kaying, canoeing, as well as fishing. Another 20 miles down the road was Dripping Springs State Park. Not a very large park, it did have a nice waterfall. During dry times, waterfalls and many springs in this state dry up. Glad it wasn't that way this year, even in the fall. Gavin is practicing his balancing act on this bench. While his brother, Adrion, is playing King of the Rock. Back in the city of Tahlequah is Northeastern State University, the oldest college in Oklahoma and one of the oldest west of the Mississippi River. Although a Cherokee school was founded in 1851 on this site, the university didn't get going until 1909. Located on 200 acres, it still uses one of the original buildings from the Cherokee Female Seminary and currently has an enrollment of approximately 6500. Tahlequah is also home of the Cherokee Nation, where they still have a Cherokee High School and Boarding School and a required course in the Cherokee language. All too soon it was time to head back home, but on the way we stopped for coffee and what a site. 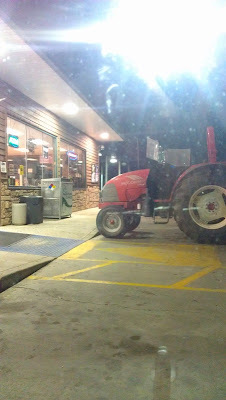 Someone came to the store on their tractor! I flew into Oklahoma City to visit with the kids and grandkids for a few days before heading to Tahlequah to spend Thanksgiving with my other kids and grandkids. Caitlin turned 4, so I got to be there for her birthday party. She was so cute, she actually hid her face while we sang Happy Birthday. Everyone had to have a party hat, even me. Cute glasses, don't you think? Cale had to have his turn. Carter is only 12, but he's taller than me. Oh no! I have been walking with these friends for over ten years. Not everyday of course, but whenever I am back in OKC, I join them at the mall. Mud Bogs-What were these people thinking? Evidently, a new fad for the younger set is mud bogs. They have them all over the country, in all shapes and sizes. Some are huge events, lasting several days with thousands of participants. Others are smaller venues, such as the one I went to. 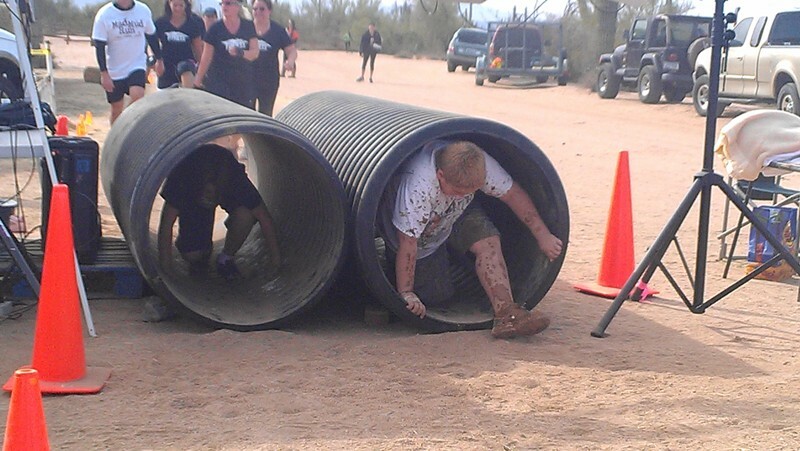 Max's kids and grandkids have participated in these before, but on this particular Saturday, they were part of a mud bog run going on at McDonald's Farm in Scottsdale. 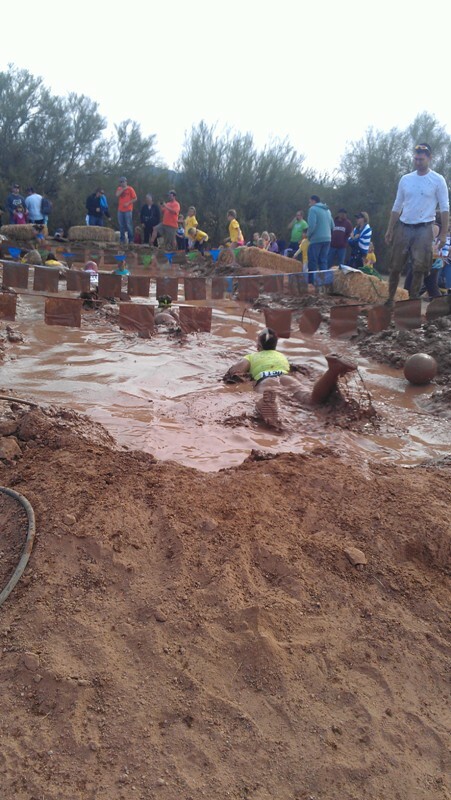 Mud bogs are a 5 or 10k run with obstacles, usually ending with a mud bog. 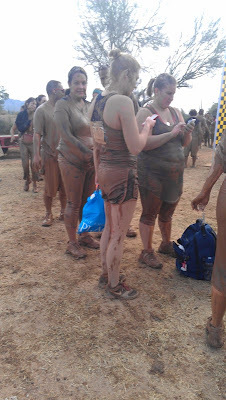 This day's event was a 4 mile run with some hurdles and other obstacles, ending in a huge mud puddle. And yes, you have to pay for the privilege of participating and getting absolutely muddy. Standing in line after, waiting for your turn to be hosed off. 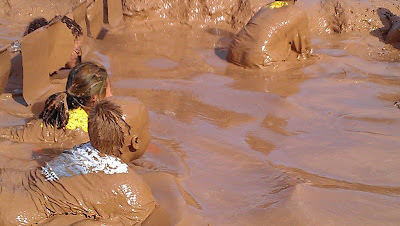 The final obstacle, the mud pit. You had to go from one end to the other, under the wires. 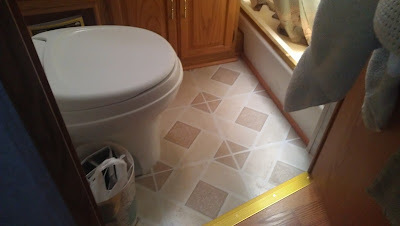 The only way was on your hands and knees, or in some cases, elbows and knees. They even had a kids run. It was just a short run around the field, then through the tube obstacle, before hitting the mud pit. 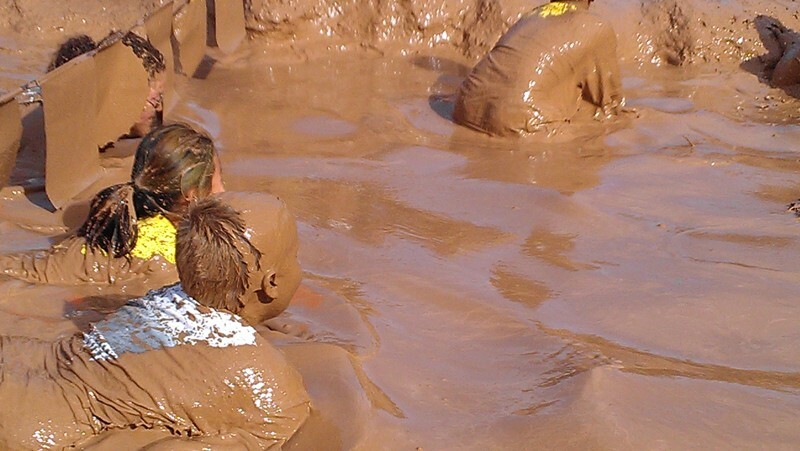 This is Max's grandson in the mud pit. 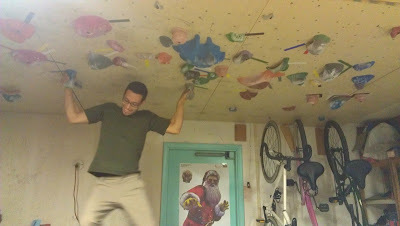 Actually, it looked pretty fun. They have different classes, such as men's single, women's single, doubles men and doubles women, mixed doubles, then teams, some teams of 3, up to teams of 5. I saw teams with matching shirts indicating they all worked at the same company. Some people came dressed up in costumes. I'm glad I went, even if it was as an observer. Who knows, maybe some day I'll even participate.